Traditional Home and Lonny came together with the inaugural issue of Trad Home (the digital Traditional Home/Lonny spin-off) this season. For the first issue, the editors assembled a group of stellar design influencers for their feature on the top 20 “New Traditional” designers to watch in 2011. 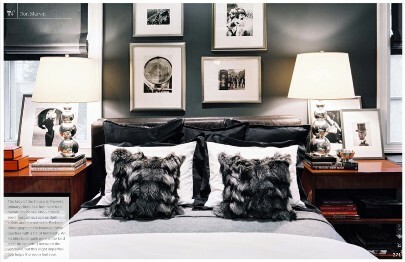 All 20 were extensively featured in the Spring issue – with true insider coverage of the designers and their work. One of our favorite clients was one of the twenty – New York City-based Ron Marvin. The Shade Store has been fortunate to work with some of the greatest designers, stylists and writers, and producers in the interior design, architecture and lifestyle categories. Ron’s designer style is traditional but classic with a sense of masculine timelessness. He selected our flat roman shades with a decorative border for both the bedroom and the family room of the residence – a sleek, finished look. The same line of flat roman shades were also used in the daughter’s room in azalea pink. We love the journey Ron created through this entire interior. Congratulations to Ron Marvin and all of the designers who were featured! 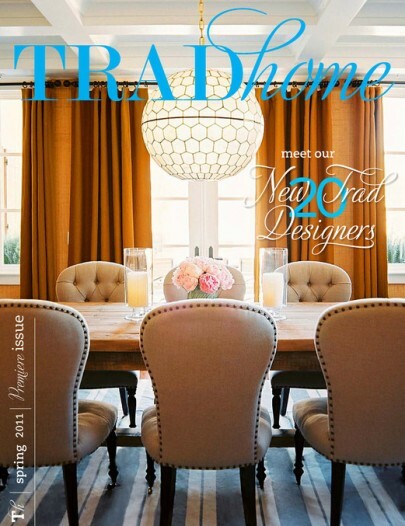 We can’t wait to see the next issue of Trad Home.